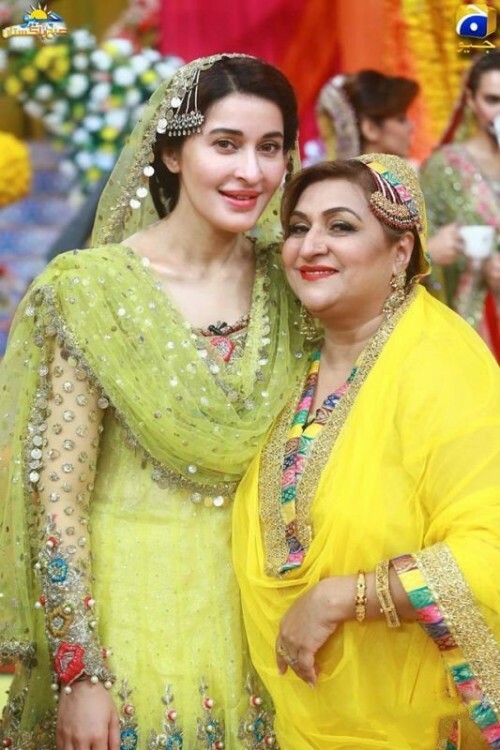 Shaista Lodhi is the popular and most talented Pakistani host and presenters of the tv and she has been hosting the morning shows since long. She is young and beautiful actress, host and presenter and she has worked in various morning shows and now started working in the dramas. She is also very controversial host and now she is presenting Geo Subah Pakistan. 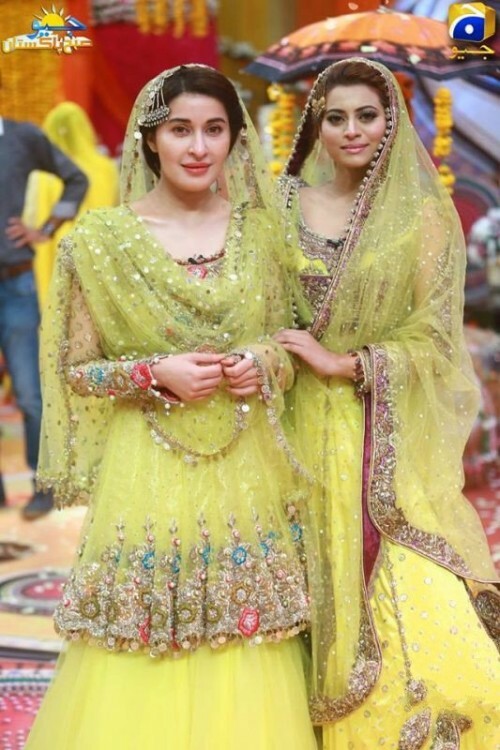 She has shared some of her pictures from her morning show wearing the beautiful matha patti. In these pictures, she is looking very gorgeous and beautiful with some other actresses and artists. 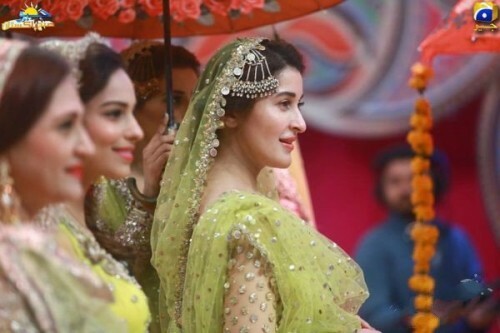 The green color dress is increasing her grace with the jewelry and the matha patti.